UN Security Council calls for "credible" probe after air strike by Saudi-led coalition that killed at least 29 children in Yemen. The UN Security Council on Friday called for a "credible" probe after an air strike by a Saudi-led coalition that killed at least 29 children in Yemen. The coalition itself, following calls from the UN and United States, announced an investigation into Thursday's strike, reported AFP. 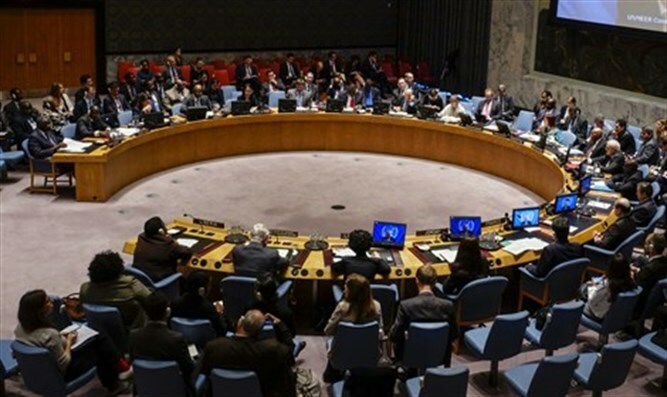 Britain’s UN Ambassador Karen Pierce, whose country holds the Security Council presidency, told reporters after a closed-door meeting on Yemen that "if any investigation that is held is not credible, the council will obviously want to review that." The raid that hit the bus in Dahyan market in the Houthi rebel stronghold of Saada also injured at least 48 others, including 30 children, according to the International Committee for the Red Cross. The coalition, which has been fighting Yemen's rebels since 2015, claimed the bus was carrying "Houthi combatants". It initially said the coalition had carried out a "legitimate military action", targeting a bus in response to a deadly missile attack on Saudi Arabia on Wednesday by Houthi rebels. On Thursday, UN Secretary-General António Guterres condemned the coalition air strike in Yemen, calling for "an independent and prompt investigation".